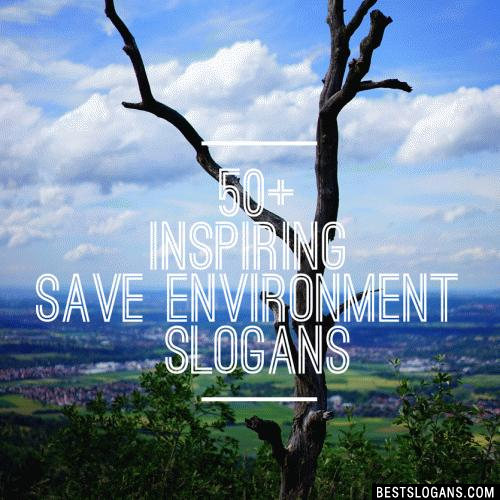 Catchy & clever slogans on environment in english for kids & adults. We must protect our ecosystem, conservation of our environment in keeping it clean is so important. For human life and animal life to survive a healthy environment is necessary. There are many things necessary for life to continue on this planet such as breathable air, drinkable water and editable food. But for many people to maintain their desired living standard it must done with the consumption of natural resources, which causes damage to the environment. 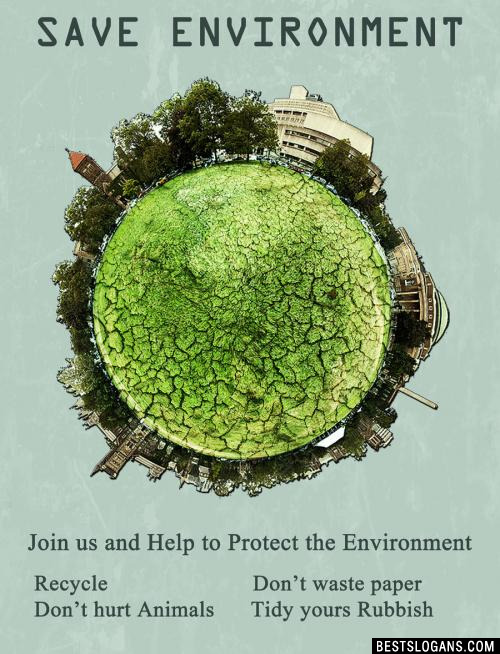 Human activity that is harmful to the environment can cause public health crises, render areas uninhabitable, and otherwise reduce standards of living on a societal or global scale. We shouldn't have to wait for World Environment Day to be reminded of how important it is to keep our environment clean. Protection and conservation of the ecosystem is essential to saving this planet and the future of our kids. When people protect the environment, they are protecting themselves and their future as well. 2 Celebrate an environmentally safe Diwali! 3 Celebrate GREEN DIWALI Avoid Crackers. 4 Avoid Crackers & Save Nature Happy Deepawali! 5 Firecrackers are of no use, they are just environment abuse! 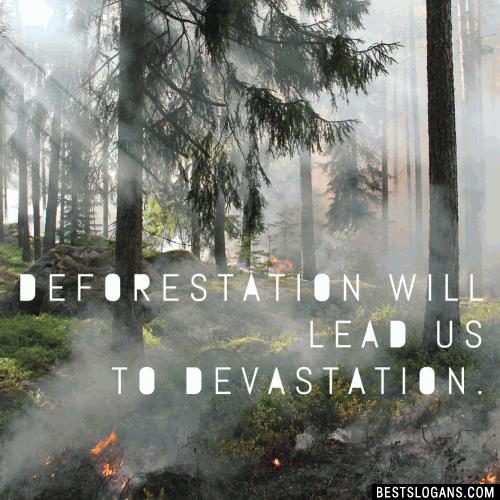 Deforestation will lead us to devastation. 9 What do the forests bare? Soil, water and pure air. Save the trees! 10 Lets move towards blue and green to keep the to keep the land and water cool and clean. 11 Think Blue and go Green! 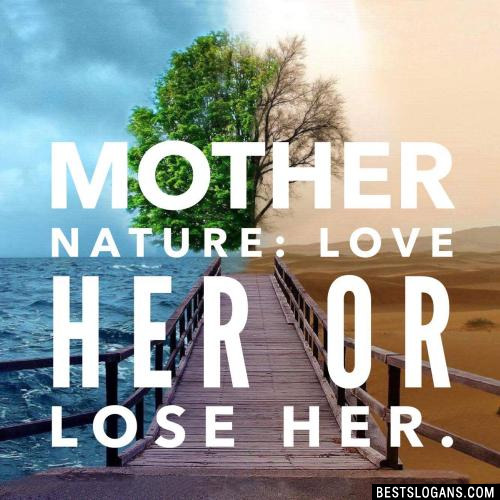 Mother Nature: Love Her or Lose Her. 13 Deforestation: No Tree Left Behind. 2,000 Trees per minute are cut down in the rainforests. 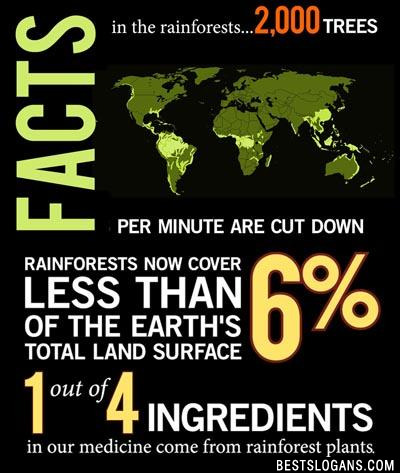 Rainforests now cover less than 6% of the Earth's total land surface. 1 out of 4 ingredients in our medicine come from rainforest plants. 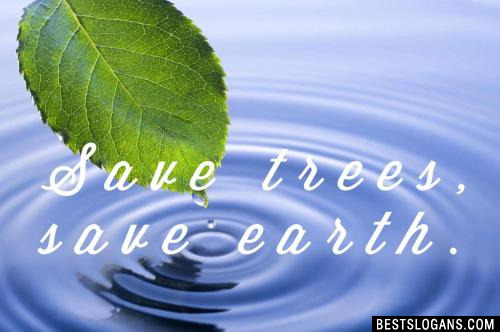 15 Plant a tree, grow a flower lets give mother earth to give them back her power. 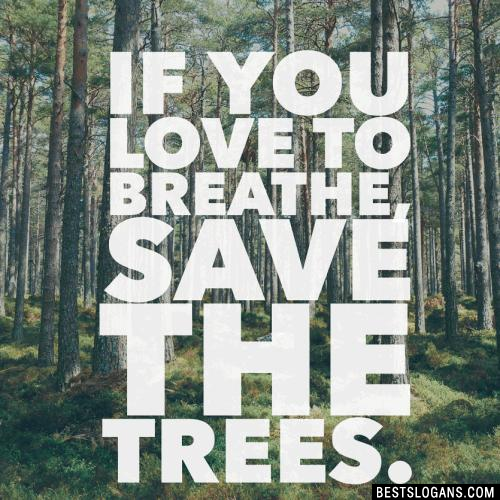 If you love to breathe, Save the trees. 17 Plant a tree and plant a hope for future. 19 Save Trees, Save Environment. 20 Save Trees, Save Life! 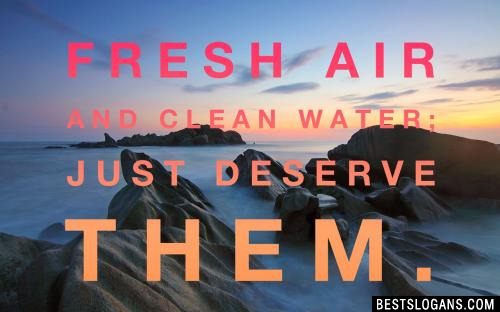 Can you think of a good Slogans On Environment Protection we're missing? Or come up with a clever one of your own. Please share below.